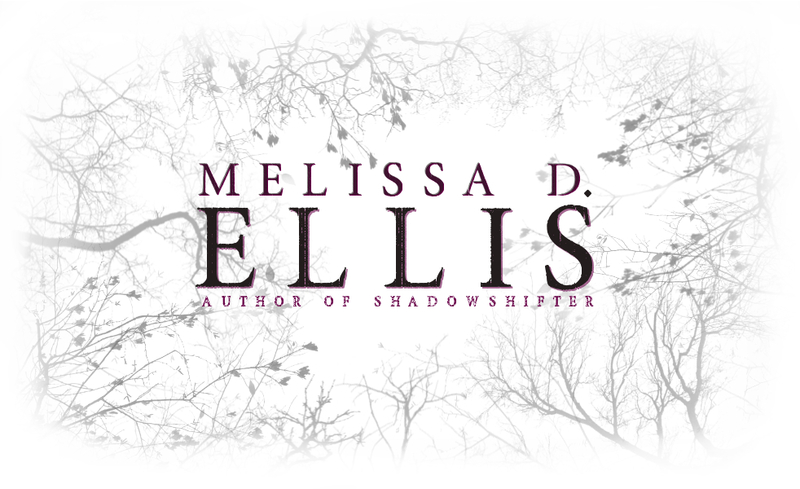 An avid fan of horror since before she was saying her alphabet, Melissa D. Ellis writes spine-tingling Young/New Adult fiction in hopes that you'll always look under your bed before sleeping at night. She studied Music Therapy, Theater, and English at Tennessee Technological University and even received a degree in Christian Counseling from Heritage International Bible College and Seminary. When she’s not writing, she’s making a living as a voice instructor and musician, enjoying the outdoors, conjuring up scary ideas to write about, quoting movies, changing diapers, running carpool, being a mom, drinking a lot of coffee, or eating. Melissa makes her home in Crossville, Tennessee with her husband and three boys. The second chapter of SHADOWSHIFTER has been posted to Wattpad! Read away! I know, I know. I’ve been MIA. Hardly on Twitter. Rarely on Facebook. I haven’t blogged since Fall. I have a good excuse!! Really, I do! First, let me explain that I’m also a singer/musician and although I usually only stay busy in the summer months with music, I was swamped all the way till… Continue reading Where are you, Melissa D. Ellis? John Carpenter’s Halloween…. yeah, I kinda dig it. I remember the serene feeling the scene initially gave me upon seeing the clean, white sheets blowing in the breeze as they dried on the clothesline in the backyard. It felt like home. I could almost smell the freshness of the detergent and the coolness of the wind on my face. And just as soon… Continue reading John Carpenter’s Halloween…. yeah, I kinda dig it. American Idol’s Top 24 Contestant, Amelia Eisenhauer, is reading my BOOK! Let’s get this one thing straight… I love it when ANYBODY shows interest in my book, ShadowShifter, but when that person is a talented vocalist that has graced the stage of American Idol, I can’t help but become a gushing fangirl! Top 24 Contestant and redheaded ninja, Amelia Eisenhauer, made it to Hollywood. I remember… Continue reading American Idol’s Top 24 Contestant, Amelia Eisenhauer, is reading my BOOK!